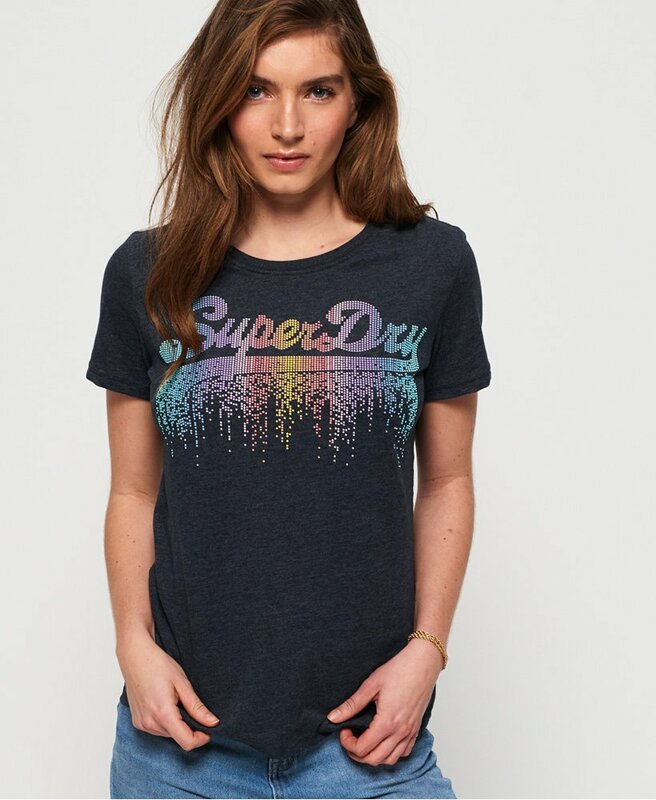 Superdry women’s Vintage logo cascade t-shirt. On the hunt for a super soft tee? Then look no further than this logo cascade tee. Blended from super soft cotton fabrics so you’ll never want to take it off. It features a crew neckline, short sleeves, a textured Superdry logo across the chest and a logo tab on the hem. This casual top is your piece to pair with your favourite jeans, shorts or skirts for your everyday attire.